Hello everyone. 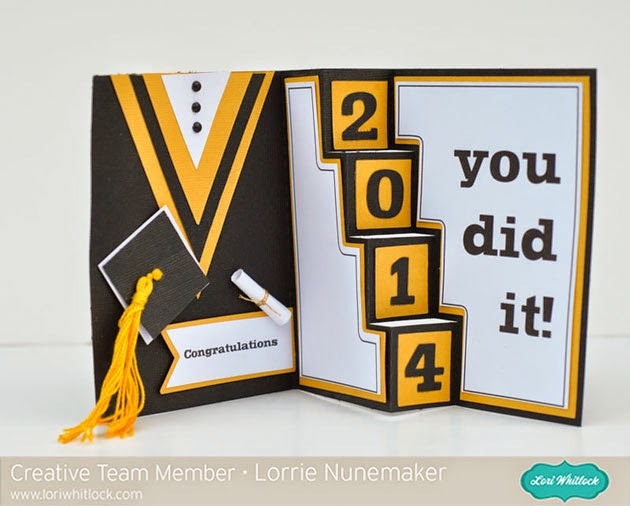 Yesterday I showed you this fun Graduation Card and a How to Video featuring Lori Whitlock's A2 Step Card. I had a lot of questions come back asking me how to make the graduation gown featured on the left panel of this card. I've made a video for you and I've provided a free studio download for the left panel portion of this card, as well as a PDF for those of you who may not have a digital cutter. The gown looks super cute on the front of a standard A2 size card, too. The base card (shown above) is available at LoriWhitlock.com or in the Silhouette shop.